Simone Gbagbo, the wife of former Ivorian president Laurent Gbagbo, has been sentenced to 20 years in jail for crimes during the post-election crisis in 2010 and 2011. 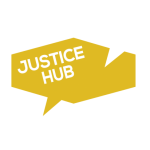 Our sister site, Ivoire Justice, answers seven questions about the case. 1. What is a trial at a court of Assize? In a trial at the court of Assize, lay people take part in the issuing a ruling together with professional magistrates. The trial is public. The accused must be represented by a lawyer. 2. Was the trial started hastily? In 2014, the European Union had pledged 5 million euros to Ivory Coast if the justice system started to try the perpetrators of all the crimes (i.e., the crimes committed by both sides) during the post-electoral crisis. So Ivory Coast had to act quickly, but in vain – diplomatic sources within the European Union told Ivory Coast that it wouldn’t receive the promised 5 million euros because it hadn’t start trying all the crimes. 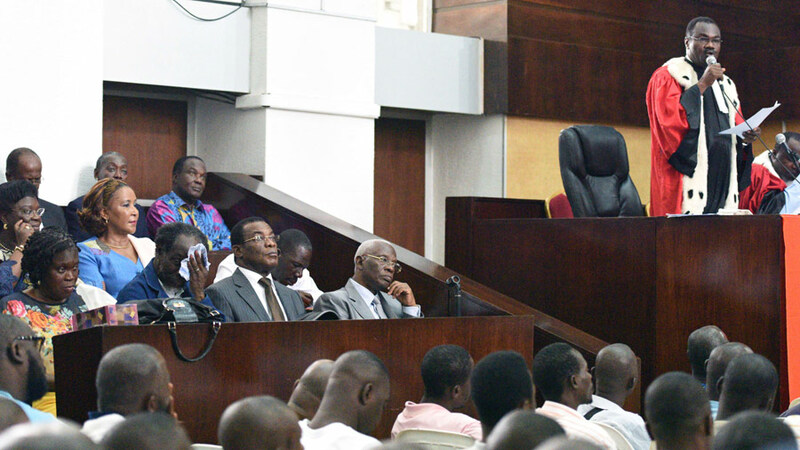 The political explanation: “They acted quickly to justify a semblance of a trial to incriminate Laurent Gbagbo and his supporters for the 3000 victims of the crisis,” according to Dohora Blédé of the defence lawyers collective. We contacted the prosecution, but it refused to provide an answer. 3. How many people were on trial, and who were they? Initially, there were 89 people on trial. 2 people died and six cases were dismissed. So 81 people, including Simone Gbagbo, were put trial. The presiding judge was Tahirou Dembélé. 34 defendants were released on bail and 46 were detaied at MACA, the main prison in Abidjan, Ivory Coast’s biggest city. 4. What were they charged with? The group, which the media soon called “the pro-Gbagbo accused” – faced a wide variety of charges, including undermining state security, creating an armed gang, xenophobia, tribalism, rebellion against state authority, etc. 5. Did the trial have a political and ethnic element? An Ivorian human rights organization, APDH, believed that the trial of the 81 Gbagbo supporters would aggravate divisions in Ivorian society. The trial would back up the notion of justice for the victors and the victory of one political party and of one tribe over another. That’s because the victims, witnesses and judges all seemed to come from the same camp, while the accused came from other. Of the 36 lay people who acted as judges, 28 were Malinkés. 90% of the witnesses came from the north of the country, and 90% of the accused from western Ivory Coast. Among the witnesses were some were ex-fighters who had supported President Alassane Ouattara (possible criminals), mayors who belonged to the president’s RDR party and leaders of local women’s and youth associations that have close ties with the RDR. 6. If Simone Gbagbo was tried in Abidjan, why is the International Criminal Court still asking for her to be sent to The Hague? For the Ivorian authorities and Simone Gbagbo’s defence lawyers at the ICC, the crimes the former first lady are accused of in Abidjan are the same ones the ICC is accusing her of. The charges though are not the same: in Abidjan, she was on trial for crimes against the state, whereas at the ICC, she is accused of crimes against humanity. But in December, the ICC judges made a new request for her transfer to the Hague. As far as they are concerned, the cases are not the same. Ivory Coast has appealed the decision. But for the time being, the judges expect Simone Gbagbo to be sent to the Netherlands. 7. What was the verdict? Simone Gbagbo was found guilty undermining state security, organising armed gangs and disturbing public order. She was sentenced to 20 years in prison and was deprived of her rights for a period of 10 years.